Massively Speaking Episode 49 returns this week with more news of the wider MMO world. Shawn is joined by Kyle Horner once again as we discuss everything from Runes of Magic to the City of Heroes Mission Architect. 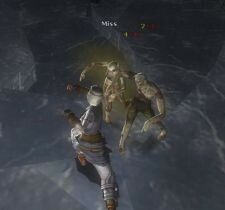 Kyle also gives us a good dose of his impressions of DDO in his weekly column, The Digital Continuum. Massively Speaking Podcast Episode 49 originally appeared on Massively on Wed, 15 Apr 2009 15:00:00 EST. Please see our terms for use of feeds.